Hearing loss is a sudden or gradual decrease in how well you can hear. Depending on the cause it can range from a mild to a profound hearing impairment. If you have hearing loss you may not be aware of it, especially if it has developed over time. Your family members or friends may be the first to notice a change in your hearing. For example, they may notice that you are having difficulty hearing what people are saying, especially when many people are talking at the same time or in the presence of background noise. Hearing loss determines how well you may process sounds. The ear is a complex organ of hearing and balance. The hearing pathway is made up of five main divisions: the external ear, the middle ear, the inner ear, the auditory nerve and the brain. The hearing process begins when sound waves enter the outer ear and travel through the ear canal to the ear drum, causing the eardrum to vibrate. These vibrations are then transmitted to the first bone of the middle ear, the malleus. The sound waves are amplified as they are passed from the eardrum and malleus to the next two bones of hearing, the incus and stapes. 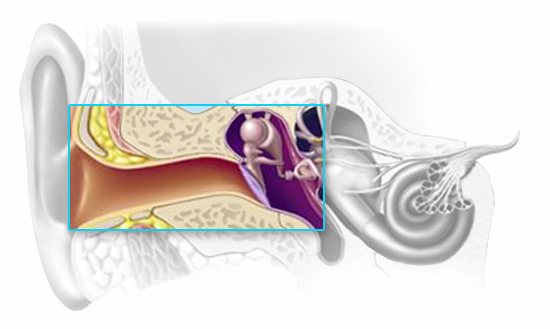 As the stapes vibrates, sound waves are transformed into fluid waves in the inner ear. The inner ear is made up of a snail-shaped chamber called the cochlea, which is filled with fluid and lined with thousands of tiny hair cells which are attached to the auditory nerve. The movement of the fluid stimulates the hair cells, which then activate the nerve endings. When these nerve impulses reach the brain sound is heard and language is interpreted. There are three types of hearing impairment: conductive hearing loss, sensorineural hearing loss and mixed hearing loss. 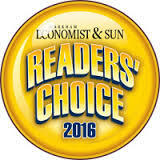 Conductive hearing loss results from a problem with the outer or middle ear. This includes your ear canal, eardrum or the ear bones known as the ossicles. A blockage interferes with how sound gets conducted through the ear, making sound levels seem lower. Some causes of conductive hearing loss include fluid in the middle ears resulting from a cold or allergies, poor Eustachian tube function, ear infections, or a perforated eardrum. Also, impacted wax or the presence of a foreign body can result in a conductive loss. 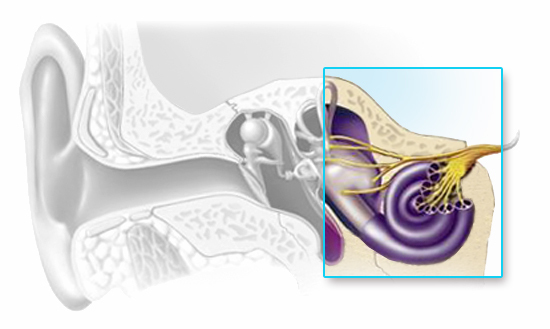 Sensorineural hearing loss results in damage to the inner ear, the nerve pathway from the inner ear to the brain or both. The most common type is caused by the outer hair cell not functioning properly. Some causes of sensorineural hearing loss are birth injury, disease, or drugs that are toxic to the auditory system. Sensorineural hearing loss may also occur as a result of noise exposure, head trauma, viruses, and the aging process. This person has trouble hearing clearly and understanding speech. 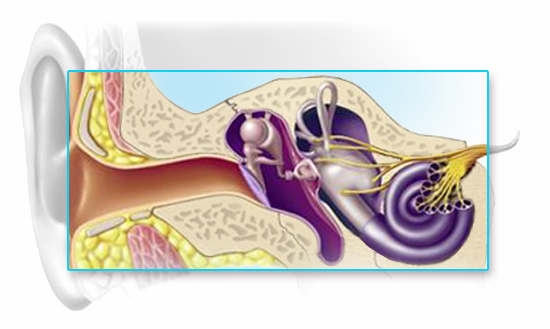 Sensorineural hearing loss is a permanent loss and cannot be treated surgically or medically. Mixed Hearing loss results when a person has a combination of a conductive and sensorineural hearing loss. In these cases there may be damage in the outer ear or middle ear as well as the cochlea or auditory nerve.